BOAT COVERS, AIRPLANE COVERS, RV AWNINGS AND MORE. 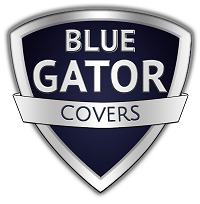 Blue Gator Covers, owned and operated by Gator Covers LLC, a family owned business in southwest Florida. Bluegatorcovers.com is your one stop shop for aircraft covers, boat covers, RV covers, RV awnings and structural awnings. Our endless inventory, competitive prices and exceptional customer service will make your shopping experience a pleasant one. We invite you to browse our catalog or simply search for your item. Can't find what you need? Please give us a call at 1-239-652-0916.